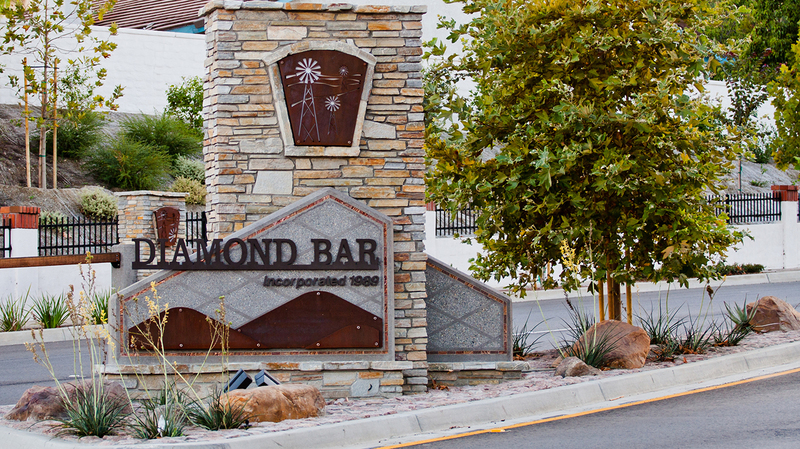 Diamond Bar – The City of Diamond Bar is planning a city wide beautification process, the newest streetscape improvements will be on Diamond Bar Boulevard. The goal is to to enhance the look and function of the medians, crosswalks, and sidewalks that are between the 60 Freeway and Golden Springs Drive. Proposed Improvements will include but aren’t limited to new plantings, furnishings, colored concrete paving, lighting, monument signs and other decorative accents that will enhance visual interest while continuing to pay tribute to the area’s ranching heritage. Diamond Bar Boulevard, between the Pomona (SR-60) Freeway and Golden Springs Drive is the area that will be the main focus for this project. Currently the project is in the early design phase. The ground breaking ceremony is anticipated to begin in 2018 and continue into 2019. This project is part of the Diamond Bar City Council’s larger Citywide Streetscape Enhancement Plan. The goal of this long-term plan is to invest in streetscape enhancement projects – as funds and/or opportunities arise beginning with prominent locations around town that will include key entry points and areas along major the city’s main thoroughfares. The ultimate goal will be to create a distinctive, cohesive and attractive identity for the city that instills a sense of pride and belonging in community members and provides a sense of arrival for place for visitors. The new design brings a Sustainable Element for long term maintenance ease and longevity. Improvements to the median strip will include swales – partly rock lined, partly vegetated are designed to capture, convey, filter and infiltrate storm water runoff. Contact the City’s Public Works Department at 909-839-7040 or email Public Works.